Witnessing an individual reach their full potential and operate out of that space is inspiring and could be the principle, if applied, that sets our businesses and careers on a path to achieve great things. 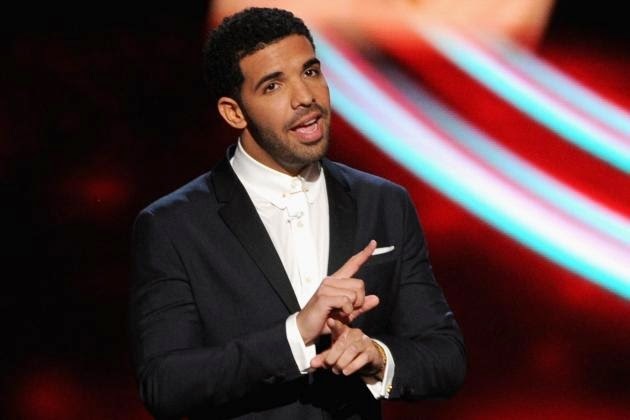 Last night I watched the ESPY Awards hosted by Drake. Drake, you know, the Young Money Cash Money, actor turned emo-rapper, the one who said he was the greatest before he ever was? I could launch into a full on review of the show and how Drake did, however, that’s not where I want to take this. I’ll leave those kinds of things to Bleacher Report. I will say though, Blake and Drake and the Lance-cam were by far some of the funniest skits I've seen in quite some time. As I watched clip after clip of sports moments form the past year I remember the emotions those moments caused and even watched the hairs on my arms raise as the chills rushed through my body watching these clips again. Why do sports do this to us? Why do sports so captivate us that there is now an awards show annually held to honor these sports moments? I’d say the same way the U.S. Men’s National Team captivated us as a country is the same general feelings brought upon by hearing a talented artist belt out a beautiful ballad. What can explain the goose bumps that fill our arms when we interact with an elite athlete doing something special or hearing a brilliant artist serenade us? Why does the story line of LeBron returning home draw such sentimental response? Why did Kevin Durant’s M.V.P. speech move us so much? When Adele sings in a simple setting with her, a microphone, and a spot light, why are we frozen by the moment? Professionals and businesses can learn a lot from this phenomenon that moves us with sports and/or music. The same moving emotions that inspire us to stay up late to watch an awards show or take a half a day off work to watch a soccer match are driven by the same general principle we see in sports but cannot interpret and apply to business for some reason. The principle is simple, an individual reaching their greatest potential. In the bible the apostle Paul even makes reference to God desiring individuals to reach their greatest potentials, becoming all they can be as an individual, becoming what God made them for, become full (Ephesians 4:13). There is something special about seeing someone who is doing what they are meant to do. Talented artists who have a voice that can move mountains inspire us when we see them in their element. The same rings true of sports. When we see an athlete who is meant to be an elite level athlete achieve great things it is moving to us as fans. We all have this internal longing to reach our full potential and when we see others achieving our own desires we are inspired and captivated. So how do we move from crying over M.V.P. acceptance speeches and moving soccer team performances to applying this principle in our own lives, most specifically, our professions. I’d love to play basketball professionally. I've even been told by a guy who plays professional overseas I could definitely keep up with his team. As flattering as that is the truth is I’m 30, have deteriorating knees, and am only 5’10”, so playing professional basketball is just a pipe dream at this point. That’s not where I’m going to quench that proverbial thirst to achieve my greatest potential. Iridescent lights and cubicles are a painful reality to most of us, but they don’t have to be. I’m not going to sell you on the idea of quitting your job and doing what you love. Maybe what you love is not necessarily going to put you in a position to make any money. Making money is a reality and a necessity in our culture, so unless you are ok with living on the streets and not having anything, you probably want to make some money. The best way we can mix this idea of becoming the fullness of what we have the potential to become and work in a world that makes us money is by learning the most we can about ourselves. Our current professional structure most often measures us to standards and doesn't focus much on strengths. This feedback system typically only focuses on weaknesses and how to become better. So we have a workforce trying o become better at things they aren't good at and that effort is taken away at truly taking advantage of what we are good at, our strengths. If we can learn our strengths and weaknesses and be humble and realistic enough to admit them at that point we can begin to work on fulfilling our potential. I wonder if the professional world and my generation begin to think this way if we wouldn't be more fulfilled in our own lives and professions and not necessarily need to escape from our reality with sports, but realize our own inspiring moments by achieving what it is we are made to achieve best. I think if we changed our mental picture a bit we could reach great heights. Will you join me?